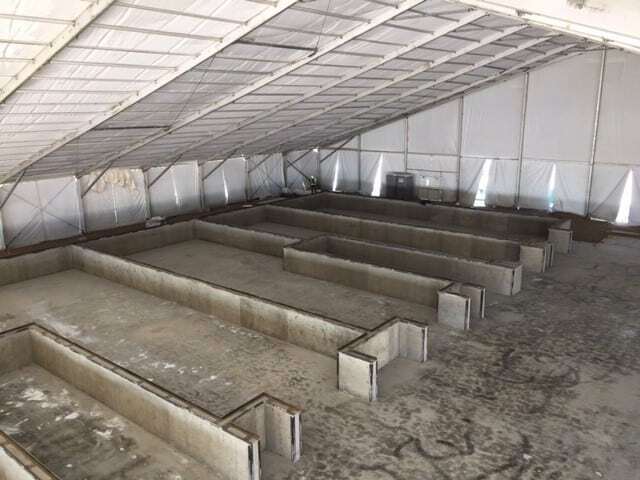 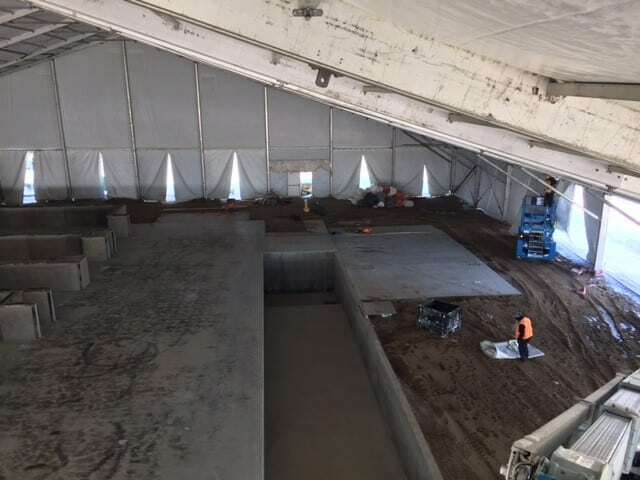 When our client first reached out and asked if we could build a tent big enough for them to pour a concrete foundation underneath, we of course said WE SURE CAN! 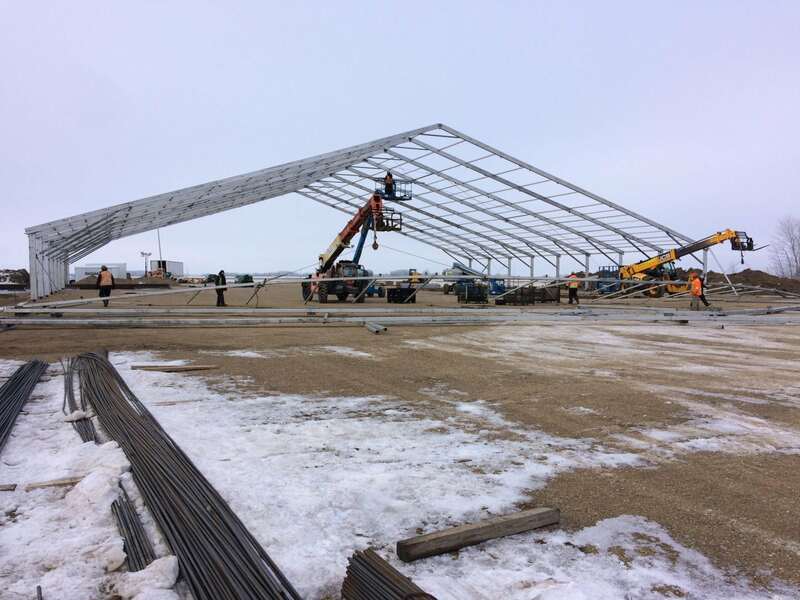 Thus began our adventure in Yorkton, Saskatchewan building an enormous 50m x 55m x 13m Clearspan tent that could withstand the inclement winter weather that the area is often plagued with. 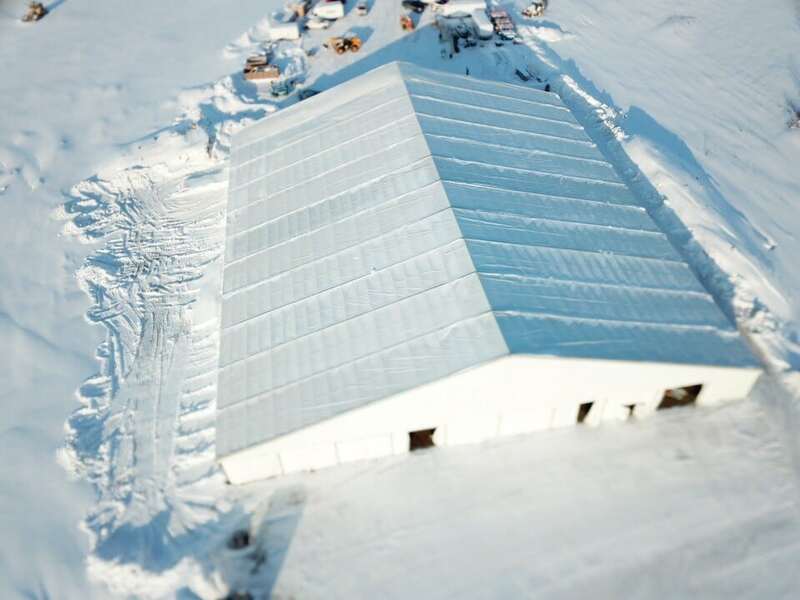 We doubled purlins, added extra stakes, and have a massive heating system inside that keeps any falling snow from piling up on the roofs! 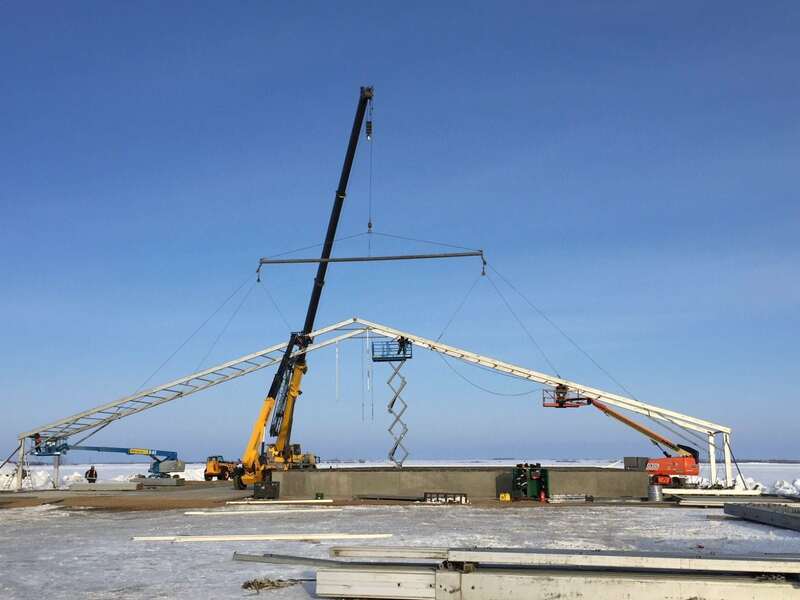 The bonus for our customer – they can keep working on their construction project through the winter and not waste valuable time waiting around for warmer weather!